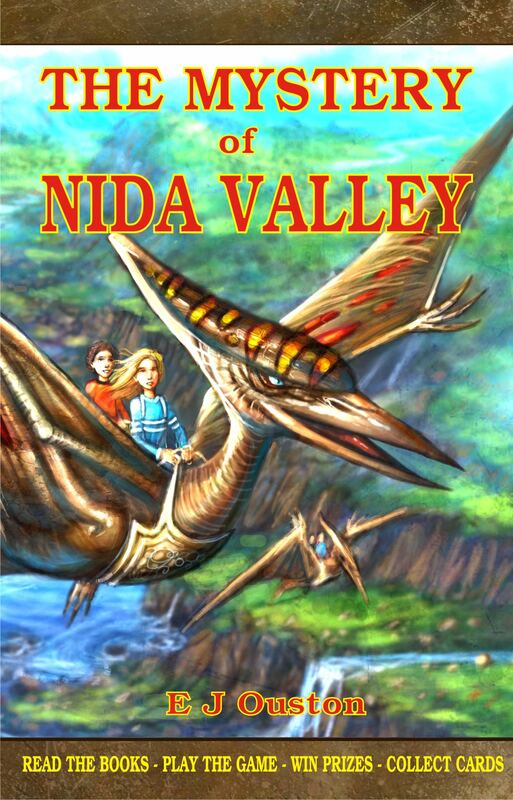 Welcome to the fun site for the Mystery of Nida Valley. If you love Fantasy you will love this series! 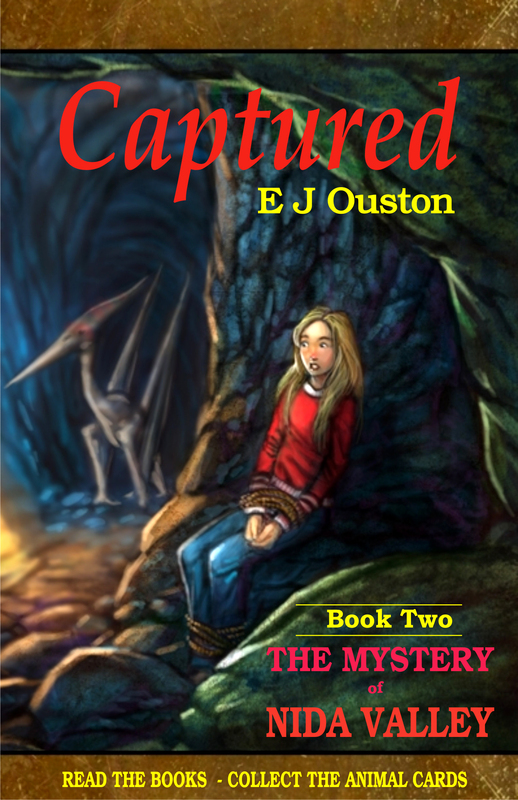 It has it all – Magic, Time-travel, Ancient Animals, Dinosaurs, a Dragon, and Adventure and Intrigue. Visit the book’s page to read the synopsis and first chapter. BUY THE BOOK HERE: Available as an eBook or printed copy. Visit the book’s page to read the synopsis and first chapter. Read the book’s first review here. Same day delivery for eBooks and under 1 week for printed copies in Australia. Postage is free in Australia when ordered from the Morris Publishing Australia website. In Australia: Your local bookstore. If the books are not in stock ask them to order it for you from Dennis Jones and Associates. OTHER PLACES TO BUY: Go to the WHERE TO BUY PAGE. READ A REVIEW OF BOOK ONE – by Michael Pryor, Ciara and Alethea O’Neill, Michael Gerard Bauer, Helen Ross, Angela Hall, Jill Smith, Karen Brooks, Need-to-read-this, and Natalie Hatch. ARRANGE AN AUTHOR TALK OR WRITING WORKSHOP FOR A SCHOOL OR LIBRARY – Go to the AUTHOR TALKS page. GO TO TEACHERS’ NOTES to get a copy of the comprehensive Teachers’ Notes document. COMPLETE THE JIGSAW – in the fastest time and win prizes. TELL ME YOUR FAVOURITE JOKE – and win a pack of the Collector Cards. WRITE YOUR REVIEW OF THE BOOK – and win a pack of the Collector cards. HAVE SNEAK PREVIEW OF THE COLLECTOR CARDS. © Elaine Ouston and themysteryofnidavalley.wordpress.com, 20011. Unauthorized use and/or duplication of material from any page without express and written permission from this blog’s author and/or owner is strictly prohibited. Excerpts and links may be used with permission, provided that full and clear credit is given to Elaine Ouston and themysteryofnidavalley.wordpress.com with appropriate and specific direction to the original content. Congratulations with your new website AND your new book. Good luck with it all Elaine-You deserve much success after all this hard work! Thank you Aaron. You put a lot of hard work in too. Thanks again for doing all the drawings. Thank you Cheryse. Food shopping first. Then writing. Have a great day. Thanks John. That would be great. Gorgeous blog! So glad I visited, and it will be fun to interview you on my blog! Thank You Nancy. I look forward to being a guest on your blog. Sounds like it’s going to be a really good book for either YA or Adult. I did find two errors in Chap. 1 (I’m a proofreader). Good luck. Thanks for your comment. As this story was edited by two editors and proofread by another, I would be interested in knowing what the errors were. Thanks, Dearne. Enjoy the rest of the story and write me a review to be posted on the website when you finish. Thanks for coming to emerald state high today. I really appreciate you coming up for the day. It was a pleasure, Paris. We enjoyed our time at the school. John Koffeman Potter Fabulous garden pottery and much more. Martin King – Jack Hunter series A sort of modern day Famous Five meets Indiana Jones style adventure for kids. It even contains a mini treasure hunt for young readers to join along. The Adventures of Cfer Cat Lovely book for cat lovers.